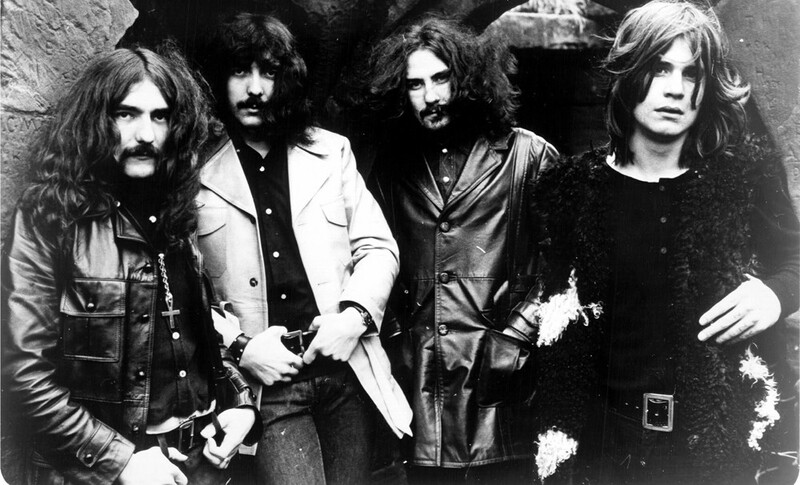 Black Sabbath's early works are touchstones of stoner-rock. Ask any Gen-Xer who ever attempted, in stereotypical stoner fashion, to sync a VHS of The Wizard of Oz with Dark Side of the Moon, and this becomes clear: Music and cannabis are inextricably linked. Budtender Justin Fulton, who is spinning Tupac on a summer afternoon at Lucky Leaf, calls it a "mood setter." He says customers dig everything from old-school hip-hop and R&B to heavy metal. But pot's raison d'être as music's narcotic of choice is perhaps most indebted to its amity with another revolutionary export of the psychedelic 1960s: rock and roll. "Here's a band called Free Weed," says JJ Wandler, owner of the downtown Spokane record shop/restaurant/bar Garageland, with a smirk as he rummages through his collection of obscure LPs. He singles out groups like Nebula and Sleep, modern inheritors of the storied collaboration between loud guitars and marijuana, and on his phone plays a cut by the band Fu Manchu, torchbearers of what he calls "total stoner rock." It's a genre with a loyal following in Spokane. Alex Edmonds, Garageland's record shop manager, says this year's Black Sabbath vinyl reissues flew off the shelves; the English group's seminal 1971 album Master of Reality is considered a touchstone of the genre. Other progenitors of the proto-metal sound include beloved giants Led Zeppelin and Kyuss, whose founding guitarist Josh Homme would later form Queens of the Stone Age. "It's a lot of fuzz," says Edmonds, describing the hallmarks of stoner rock. "Heavy fuzz," particularly in the low end, he notes. The riff, slow and churning, is supreme, and "masturbatory guitar solos" are ubiquitous, says Dillon Jones, the store's newest employee, who's from Tennessee. "It's sludgy," adds Wandler. "Slow and sludgy," echoes Bob Gallagher, owner of the Spokane vinyl treasure chest 4000 Holes. On the groovier flip side, "of course there's Legalize It by Peter Tosh," says 4000 Holes employee Shawn Costello and, in unison with Gallagher, "All Bob Marley records." Gallagher is partial to Jefferson Airplane's After Bathing at Baxter's, an outlier among the aforementioned albums because of its decidedly lighter yet debauched sonic landscape; a recording perhaps better affiliated with one of marijuana's more psychoactive contemporaries.